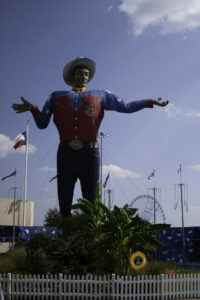 Big Tex welcomes you to the fair. This entry was posted in Texas, Texas Events and tagged 2008 dates of the State Fair of Texas, discount tickets to the State Fair of Texas, free admission to the State Fair of Texas, Kroger discount tickets to the State Fair of Texas, State Fair of Texas. Bookmark the permalink. Thank you so much for publishing this!!! I couldn’t seem to find it on the website and my husband just really wants to go this sunday. Have a great day! God bless, Alicia. Thank you Alicia and Jamecia for your comments. It was fun researching this information and nice to know it was helpful.